Jimmy Choo's mismatched pumps are the ultimate investment for lovers of monochrome accessories. They've been made in Italy from black and white leather in both matte and patent finishes and have sharp pointed toes. Wear yours to offset Spring '19's neutrals. 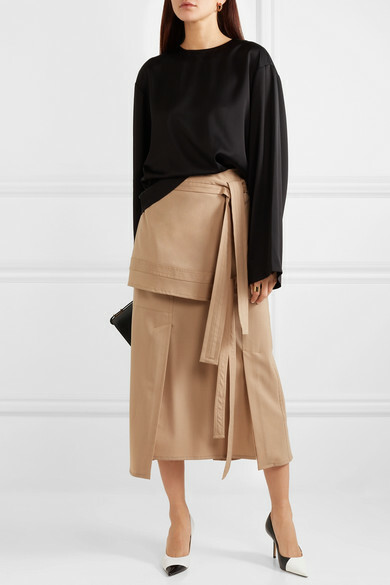 Shown here with: Totême Blouse, 3.1 Phillip Lim Skirt, Victoria Beckham Shoulder bag, Meadowlark Ring, Laura Lombardi Earrings.